Wills Way Equestrian Center – KC Engineering and Land Surveying, P.C. 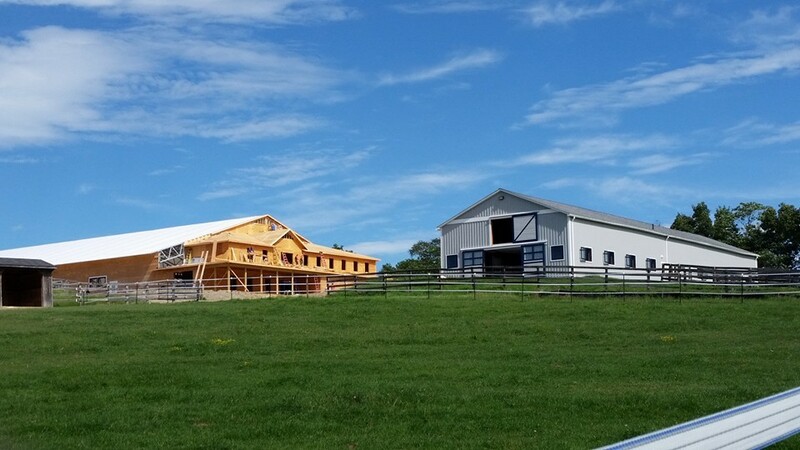 The project consisted of redeveloping an underutilized 130-acre horse farm in the Town of Goshen by completely overhauling the grounds for a new privately owned and managed Equestrian Center. The farm had been utilized by private residents for their horses. KC was retained prior to the purchase by the new owner for due diligence and master planning of the proposed farm and equestrian facilities. The existing barn was determined to be salvageable and was proposed for complete renovation. It now includes 15 boarding stalls, a tack room, storage rooms, and garage. A new 200’ by 85’ indoor riding arena was designed to allow for year-round usage of the facilities along with an adjoining administration building with climate-controlled tack rooms, offices, a kitchen, and an elevated viewing area.